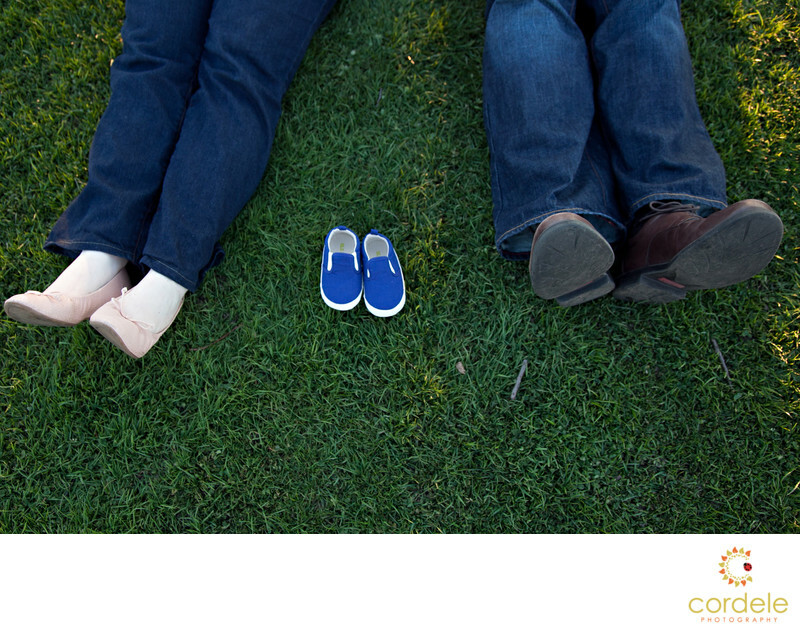 A mom and dad set up the shoes of their unborn sun during a maternity shoot in Wakefield Ma at the Lake. This was a cute shoot before the families first baby was born. I thought the shoes were so cute and I wanted to show off how tiny they were. I loved the fact that the grass helped the blue shoes stand out.